When my brother Louis and I were kids, Dad used to make us Spaghetti and Meatballs for supper on either Saturday or Sunday, depending when Dad was able to make it. When I started cooking, my preference was to make a meat sauce, mostly due my shoddy attempt at making meatballs; granted, I did get better at making them as I got older and refined my recipe and technique. I haven’t really made any sort of meat sauce with pasta in a while mostly because I had been trying to cut back on pasta overall and initially not knowing of any Gluten Free pasta brands. 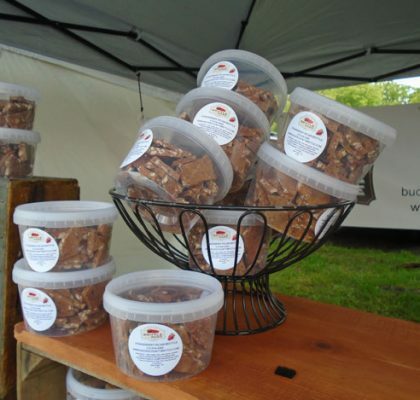 Within the past several months I have tried a few different varieties and brands of Gluten Free pasta. Out of the many brands that I have tried so far, the Jovial egg noodles were the best by far. For this particular Sunday supper, I decided to make pasta with a “meat” sauce (Gardein Gluten Free vegetarian crumbles with mushrooms, sweet bell peppers, Jovial brand crushed tomatoes, and tomato paste with oregano and a touch of cilantro). 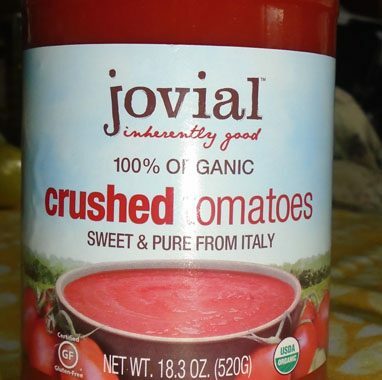 I wound up using the entire jar of crushed tomatoes; usually when I make something for Sunday supper, we try and stretch out the leftovers to have for supper over the next couple of days or so. I made the Jovial Gluten Free Egg noodles according to the package instructions and they came out perfectly. 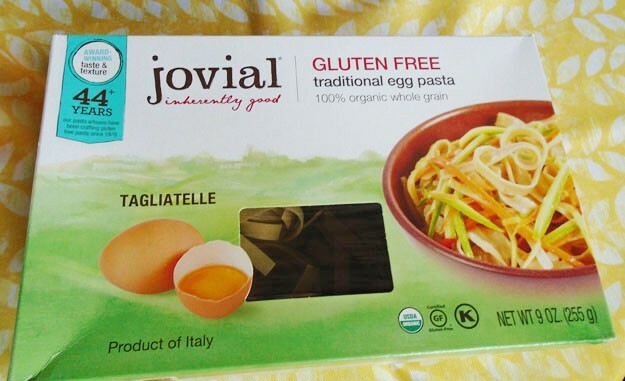 Jovial was the first Gluten Free pasta brand that didn’t fall apart or get mushy after cooking; it was firm and I was able to cut it easily with a fork. 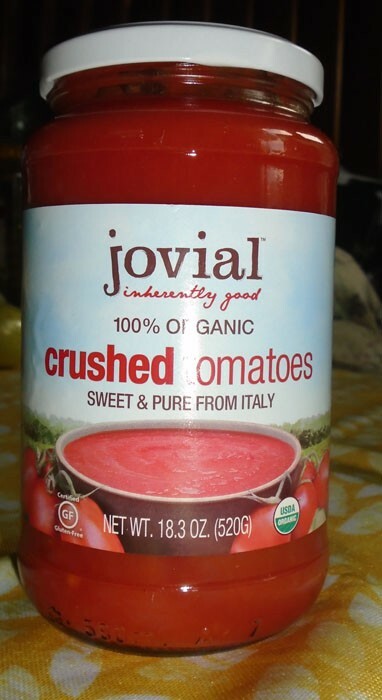 The sauce turned out fantastic as well – the Jovial crushed tomatoes didn’t have that acidic aftertaste that some brands seem to have. Since we have some of the pasta and sauce left over, Mom and I will be able to enjoy it for supper over the next few days. All in all, we had a “Jovial” Sunday supper.